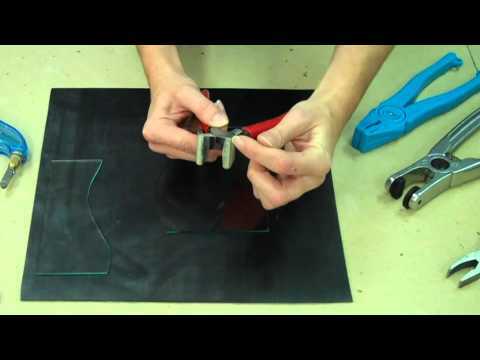 The Taurus Ring Saw is an excellent glass cutting tool for making multi-directional cuts. 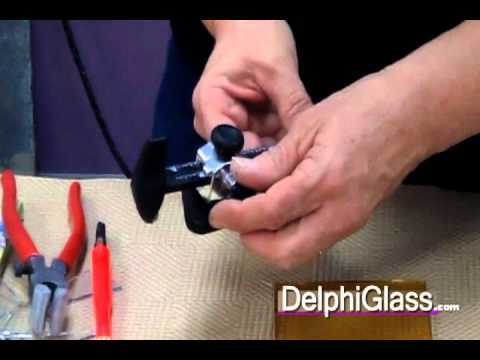 Watch as Delphi Glass store associate Danielle Wagner reviews and demonstrates how to use the Taurus 3 Ring Saw. The DL3000 Bandsaw is an excellent saw for making precision cuts of all kinds on art glass and ceramic tile. 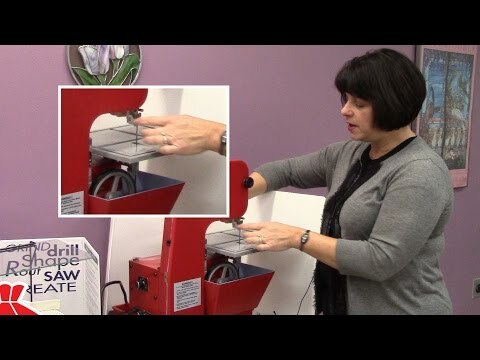 Watch as Lisa Parks reviews bandsaw and demonstrates how easy and precise it is to use on all kinds of glass. 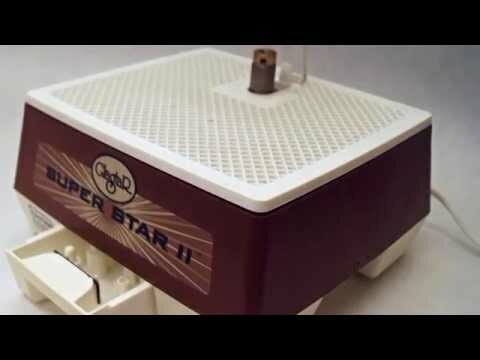 The Gryphette grinder is an excellent glass grinder with a small footprint. 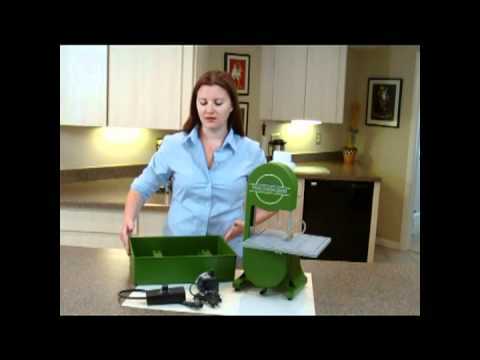 With only a 6-3/4" work surface, the Gryphette grinder performs just as well as larger glass grinders. It comes with a 3/4" grinder bit and can accept all standard bits.The Gryphette also comes with a 5 year manufacturer warranty. 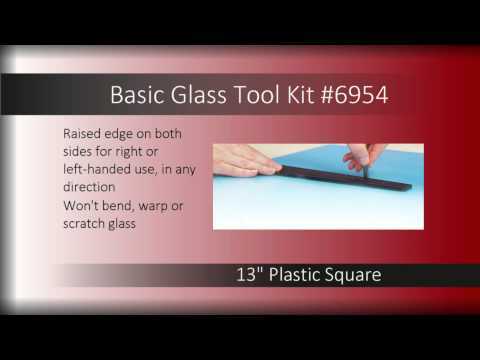 The Basic Glass Tool Kit provides all the tools needed to score, break, and smooth glass pieces for your art glass projects. The kit includes a Toyo Dry Wheel SuperCutter, Breaker/grozer pliers, Running pliers, Diamond hand pad, Safety glasses, and Glass square. 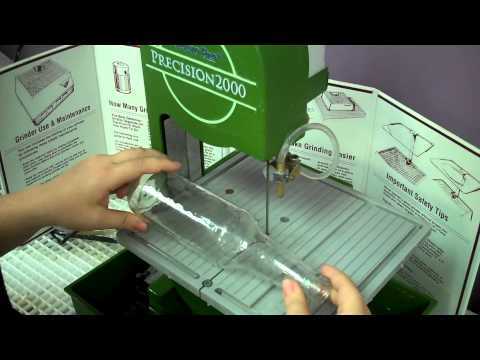 See Diamond Tech's Precision 2000 hobby saw in action. Learn how to cut with this small but powerful band saw as it handles everything from glass to tile to plastics in minutes. 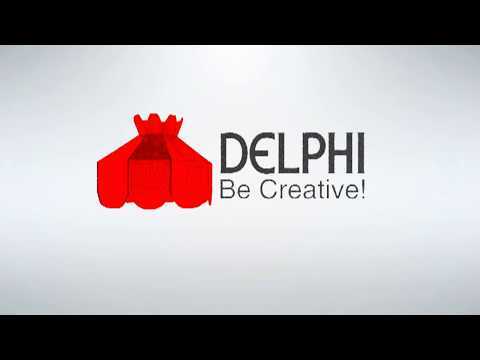 Watch the video then buy your saw at www.DelphiGlass.com/Precision2000. 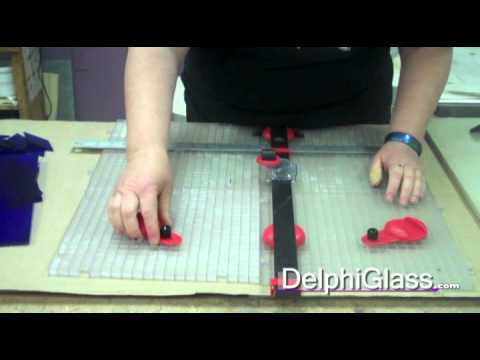 Delphi instructor Steena Gaut demonstrates two easy methods for cutting circles in glass. 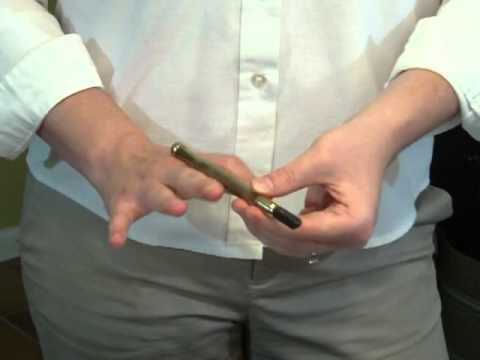 One involves a carbide wheel cutter (pencil grip or pistol grip) and a grinder, and the other involves the Glastar Circle/Strip Cutter. 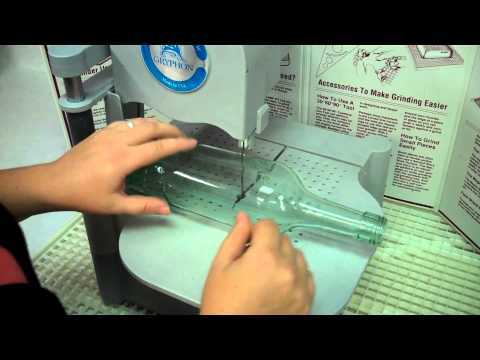 A third method is mentioned using a Bandsaw. 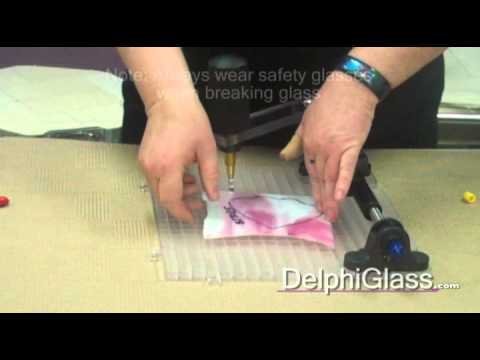 Glass circles can be used in a variety of stained glass and fused glass projects.